Today, the entertainment industry lost another famous face, as Cory Monteith, star of hit US TV musical extravaganza “Glee” was found dead in his hotel room in Canada. 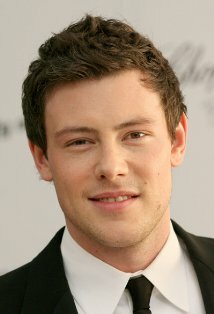 The 31 year old played the part of Finn Hudson in the show. Monteith had suffered his demons, having struggled with a drug addiction from an early age and being in and out of rehab. But that doesn’t say that today’s tragedy is linked. No real details have yet emerged but all will be revealed in time. It still all adds up to another young life lost in the ritzy glitzy glamorous world of showbiz, and there’s absolutely no doubt that the industry is shocked and saddened by his death. Cory will be missed by family, friends and fans alike. Poundstretcher & Poundland didn’t have any at all…Argos were literally out of stock of every fan from the cheap and nasty £5 ones, up to the £90 super-fans which could cool the engines of an on-fire aeroplane (topical observation). Then we went to B&M…still nothing…….and there way only one place to go……..THE RANGE! Now, regular readers of the blog will understand why this was set to be a mission made in hell…and also why it was the last place we went to…if you don’t, then Click Here to read why. …and luckily, they were selling normal 9″ desk fans! Winner! We bought and paid for it with absolutely no drama at all…has The Range turned a corner? They’re slogan of “If we don’t stock it, you don’t need it” came good…..we needed it…and they stocked it! This entry was posted in 2013, 365, TV and tagged Cory Monteith, Cory Monteith death, desk fan, fan, fans, Glee, summmer heat, The Range. Bookmark the permalink.